The sweetness of charred tomatoes, red onions and garlic, are blended with the smoldering tickle of chipotle chiles and fresh cilantro. Great flavor! Medium heat... I will definitely order this again! Excellent clean taste! Smoke, garlic, delicious. 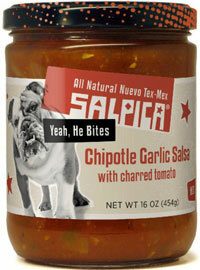 THis salsa WAS original and tasty! I will order more!